Organizations and businesses are always under pressure to keep up with clients on social media. In order to stay relevant to your client base, the easiest way to market to them is digitally. 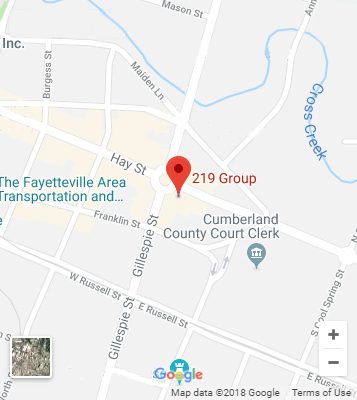 219 Group works with clients from Fayetteville, NC to Raleigh, NC and every where between, from various verticals. We understand just how difficult it can be to come up with creative and innovative ways to keep viewers engaged. We know that Social Media can be tricky and can either end up being brilliant or a huge disaster and the last thing any company wants to do is accidentally post something that is going to cause an uproar from your clients. Don’t allow someone else’s screenshot of your company’s post ruin everything you’ve built – just follow these few easy tips from 219! Tip 1: Think before you post, and then think some more! We see this way too many times, a company posts a witty slogan and all of the sudden their news feed is blowing up with angry followers. When posting to social media you have to be straightforward with exactly what you mean, and leave no room for assumption or error. Your words are powerful use them wisely. Tip 2: The dreaded hashtag… Make sure that you completely understand the meaning of the trending hashtag you are about to jump on and use. Nothing can make an organization look more inconsiderate then using a hashtag incorrectly and offending your clients. Just like with any word, if you don’t know the meaning of it, don’t use it! Tip 3: Keep up with your followers, “No Comment” is a comment! Nothing looks worse than a company that is absent from a meltdown that is happening within their fan base because of something they have done or said. Stay up to date with what people are saying about your business. Do not wait until someone’s comment spreads into a flame that starts a fire. Let your followers know that you are listening and put an end to any untrue rumor before it damages your public face for good!